Premier League transfer news. Arsenal new manager Unai Emery is eyeing Juventus right-back Stephan Lichtsteiner as his first signing for the Gunners, as per SkySports. 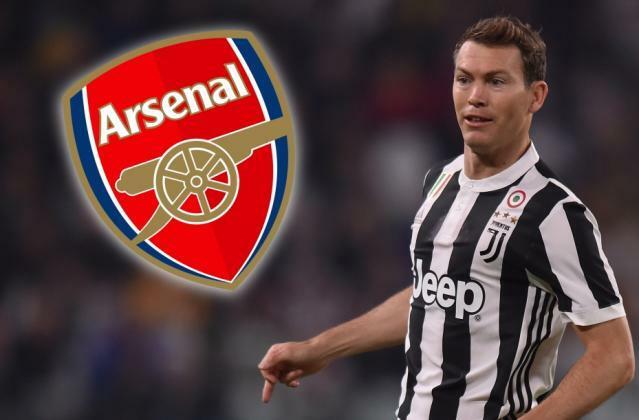 Arsenal new manager Unai Emery is eyeing Juventus right-back Stephan Lichtsteiner as his first signing for the Gunners, as per Express. The Gunners have a very rough season, they finished on sixth spot in the Premier League. Long term veteran boss Arsene Wenger also left the club after serving the North London side for more than 20 years. New boss Unai Emery who joined the Emirates Stadium side few weeks ago is looking to bolster his side. He has been keeping tabs on several players including Juventus right-back Stephan Lichtsteiner who is reportedly looking to leave the club after seven years this summer. The 34-year-old joined Juventus from Lazio in 2011, he has made more than 250 appearances for the Serie A side since his move. Emery has also set his sights on several other players including Sampdoria’s Lucas Torreira and would like to seal the deal before the World Cup starts next month. Everton are also in the race to sign the Uruguay international. Meanwhile, Arsenal target Fabinho joined Liverpool recently on a 40million pound move from AS Monaco.